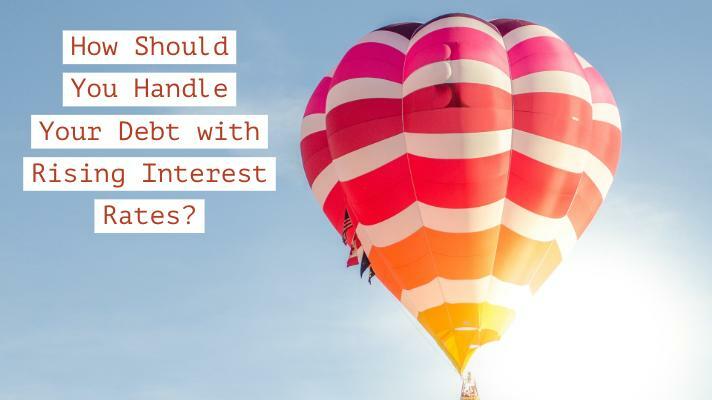 How Should I Handle My Debt With Rising Interest Rates? The federal government used a few different tools to battle the collapsing US economy in 2008-2009, from multiple rounds of quantitative easing to pumping more liquidity into the systems. It was an economic downturn that required a multifaceted response. The Federal Reserve helped out by using its most stimulative tool - lowering interest rates, specifically the Federal Funds rate. This, in turn, influenced everything from mortgages to auto loans to trend lower. It is now 2018 and times are quite different. The Federal Reserve is in a completely different space regarding interest rates. We have seen seven interest rate hikes since 2016. What should consumers be thinking about as a result of the current rate environment? Do you currently have debt on a Home Equity Line of Credit (HELOC) or are contemplating using a HELOC? Do you have any credit card debt that isn’t paid in full at the end of every billing cycle? Do you have any student loan debt where the rate is variable or will become variable in the near future? At the heart of these three questions is the same characteristic - the fixed or variable nature of the interest rate. Understanding the rates on your existing debt accounts is quickly becoming something that requires more consumer attention. The days of historically low rates are gone. No longer can we simply go to any financial institution down the street and get a once-in-a-lifetime mortgage or home equity loan. The Fed has signaled that rates are likely to continue to climb, therefore, having a debt related conversation with your independent financial advisor is important. We can analyze a client’s current or future obligations and determine the correct loan and term. In our opinion, debt management can be just as impactful as asset management to your financial plan. Wait, you do have a financial plan, right?